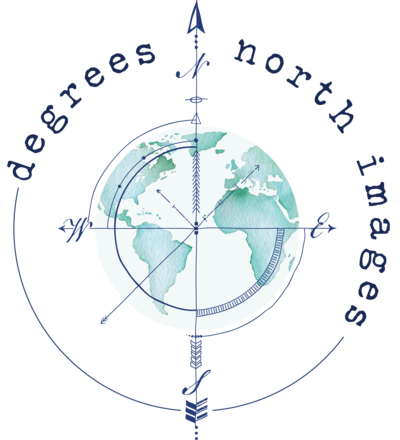 The New and Improved Degrees North Images! I am so, so happy to finally have a new (non-embarrassing) website alive and functioning and looking gorgeous on the internet! The visual overhaul, which I started preliminary work on back in January, was an interesting process. I had to go into my head a lot and muster up some courage. A rebrand, at least from my perspective, couldn’t just be rearranging furniture or slapping lipstick on a pig, a la a fancy new logo to put places. It had to go deeper and give more, otherwise it would be pointless. For me this is another step toward the thing I always wanted to be as a photographer. The thing that the “adults” in the industry told me was silly, impossible, weird. I heard a lot of “yeah I wanted to do that too” in so many condescending and defeated tones. and everything changed. I could feel myself starting to give zero f**ks about what anyone else thought, especially those industry “adults.” A lot of this is thanks to a few days of solo international travel that had a much larger impact on me than I even wanted to give it credit for only just earlier this year. The mind shift had occurred and there was no turning back. Enter Louise from The Autumn Rabbit. She took my words and inspirations and like the magical unicorn 🦄 a great brand designer is, she manifested all my shzushz into all new branded elements that feel like me! While I could go on and on about every little thing, I’m just going to point out some favorites. I went ahead and referenced my three favorite things right off the bat in the header; travel, Disney, and the beach! And how about that aqua background! Scroll down a bit and check out the spinning compass along with an invitation to “choose your adventure! Oh. Em. Gee! Yes photography is my business and helps provide the roof over my head, but this isn’t really the kind of “job” you can do without a deeper purpose. So I decided to stop keeping that reason, that purpose, a secret and put it right there on the homepage! I do it because I know that having photographs in the home can inspire everyone who lives there or visits there. Photographs in the home can help create a sense of belonging, and when life gets hard, and a family (whether made of 2 people or 20) needs a reminder, they provide a record of love shared and good times had. The story behind why my logo is a compass is no longer just for my clients. Honestly, I knew I should have been sharing about this all along and just dropped the ball and repeatedly failed to do it. It’s a story that pretty significantly effects my approach to photography and is a part of my client’s stories. The descriptions on this page are more than just for fun. These are things my couples and I often have in common and I know when a couple has that “OMG THAT’S US” moment, it can be such a relief for them to know they’ll have an understanding and supportive team member in me. I want couples to know right away I’m their girl. Late last year I decided to separate my wedding day service pages into elopements, intimate weddings and weddings. I wasn’t sure if it would be helpful or not, but I needed a way to relieve the confusion around the differences between each of these types of events. Almost immediately I had clients respond positively to it and appreciate the clarification. So I decided to carry over separate service pages. I also added a section on each page that shares a bit about my booking and execution process. I know when you’re starting to plan a session or wedding it can be confusing to know what comes next. I wanted a place to pay homage to some of my favorite places on earth and to share the top spots on my travel wishlist. Travel and experiences have always been really important and valuable to me and I know my clients feel the same. I’m always curious to know where people love to travel and why, and the places they’re dreaming of visiting one day which is often what we find ourselves chatting about. Oh yes I did. As previously discussed, there are three wedding related service pages; elopements, intimate weddings and great white weddings. Enjoy the movie quote featured next to the image slideshow on the top of the page. Is anyone else a huge Jaws fan? Did she really throw down an area code? I went for it on every level. 😂 I talk about my Detroit-ness, I brought to light the embarrassing amount of times I saw Lilo and Stitch in the movie theater, and I called myself the friendly neighborhood photographer…like the Spiderman fangirl that I am! I also went ahead and mentioned or made reference to; Beauty and the Beast, Star Wars and The Office. I let my quirk hang out all over this fancy new website and I can’t wait to meet all the new friends it will connect with! To take the next step in creating some magical souvenirs, visit the contact page!